It’s never a good sign when the United States votes in lonely isolation at the United Nations. This can only mean one of three things: that the rest of the world is spineless, or that the White House is obtuse or timid. During the Bush administration, this solo act reflected an ideological opposition to arms control. Now the United States is the odd man out at the UN on space issues because the Obama administration does not wish to provide Jon Kyl with more ammunition to derail New START. Two resolutions tell the tale. For historical context, I highly recommend David Wright’s post on the UCS website. Both resolutions were innocuous, and one was downright helpful. The first, offered by Egypt, invited the Conference on Disarmament to establish a working group on “prevention of an arms race in outer space” as early as possible. Our new, angelic grandchild may be trying on prom dresses before this happens at the Conference on Disarmament. The U.S. abstained from this vote, along with Israel. The second resolution, championed by Russia and voted in the First Committee on October 29th, was the usual fare about transparency and confidence-building measures in space, which makes good sense. The new wrinkle was a request for the Secretary-General “to establish, on the basis of equitable geographical distribution, a group of governmental experts to conduct a study, commencing in 2012, on outer space transparency and confidence-building measures.” On this vote, the United States was the only abstention. The sticking point for Washington was the resolution’s acknowledgment of the fact that Russia and China have tabled a draft treaty to ban weapons and the threat of their use in outer space. (The resolution also acknowledged the European Union’s efforts to craft a Code of Conduct for responsible space-faring nations.) The Obama administration, like the Bush administration, has been utterly clear that this draft treaty in unverifiable and unacceptable. It’s not going anywhere, for some of the reasons discussed in previous posts. But the mere inclusion of a reference to the existence of this draft treaty was sufficient for the Obama administration to abstain from voting yea. The Heritage Foundation and other irreconcilables have made a mountain out of the molehill of New START’s preambular language re-stating the incontrovertible linkage between strategic offensive forces and national missile defenses. The operative clauses of the Treaty contain absolutely no limits on missile defenses that the executive and legislative branches may wish to fund. Nonetheless, the language in the preamble has provided a pretext for those who wish to derail New START. The votes at the UN clarify the lengths to which the State Department will go to avoid further pretexts. The administration and Senate Democrats, badly wounded by the election results, still hope for votes on New START during the lame duck session of Congress. Since Senate procedures, at their worst, can require unanimous consent, this game plan could unravel. In this event, it would be extremely wise for responsible Senate leaders to commit to up or down votes on the treaty and related appropriations in the first session of the new Congress in 2011. Otherwise, the longer Senate Republicans seek to derail New START, the longer Congressional Democrats are likely to hold nuclear-related appropriations hostage, leading to further escalation. This scenario benefits no-one, and could get very ugly. The Obama administration has been waiting patiently for the European Union to complete its work on the Code, but Russia, China, Brazil, and India feel no ownership in the EU’s handiwork. The UN resolution creating a Group of Governmental Experts could become a forum to broaden support for the Code, but like the Senate, the GGE’s agenda requires unanimous consent. If the GGE isn’t the place to de-regionalize the EU’s initiative, and if the CD remains moribund, another forum is likely to be needed for this purpose. Success will require, at a minimum, more of a top-down impulse than is now evident from Washington. 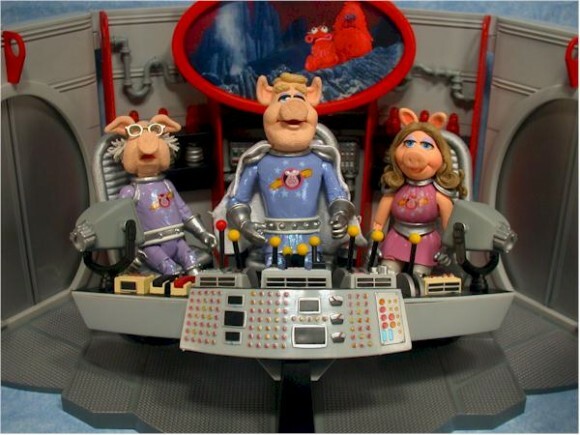 The Obama administration has produced an exemplary National Space Posture. Its constituent elements have yet to be aggregated and elevated into a diplomatic initiative. The Code of Conduct is the only game in town. After two years, it’s time for the Obama administration to pull up a chair and have a seat at the table. The New START treaty is a dud and nothing — nothing — should be sacrificed in the hope to garner more votes to assure its passage. See Jeffrey’s blog entry: MarkoB spells it out pretty well. Screw New START, disband the MDA, call the troops home, and pass the no-brainer space code. The New START treaty is now just an ego-boost for Obama. (Like the health “care” bill). Disbanding MDA will help relations with Russians more than New START and will tell the republicans who is really in the driver’s seat. I agree the most likely reason for these otherwise obtuse non-votes is to avoid giving Kyl and Heritage another wildly strained talking point to deploy against START. However, it is increasingly evident that President Obama’s early commitment to seeking real space arms control has beached on the sands of Washington and is already nearly pinned down by lilliputian-minded policies such as the continued commitment to “missile defense” weapons that are as demonstrably ineffective as defense against ballistic missiles as they have been demonstrated effective as offense against satellites. If the Code of Conduct is “the only game in town,” that is only because of American failure to propose any more ambitious agenda for avoiding a space arms race. That’s not just Obama’s failure, it is also the failure of the arms control community. Here you are again flogging the “unverifiable” Russian-Chinese PPWT draft, which is actually not at all unverifiable but is unacceptable since it does not address ground-based ASATs. But I heard a State Department official say yesterday that the admin will probably seek “some kind of ground-based ASAT regime,” which will of course be just as unacceptable if it does not address the stationing of weapons in space, and also quite surrealistic if it ignores the ASAT capabilities of ground-based missile defense systems and the technical meaninglessness of a test ban that applies only to actually orbital targets. Disbanding MDA would be nice but that hardly seems likely given Obama’s commitment to Raytheon’s SM-3 as his smarter, cooler missile defense, and to MDA’s make-believe testing program, which will of course not challenge SM-3 with the simple known countermeasures which it is known would certainly defeat SM-3 in its current and all planned versions, and which North Korea or Iran could easily incorporate into its conventional as well as any future nuclear ballistic missiles. Canning the program would take some time and theater, such as demanding realistic testing, including the simple countermeasures that it is known would defeat SM-3 as well as GMD, and also involving a salvo launch at a time unknown to the defense. The outcome of such testing would of course be complete failure of the missile defense systems, and a series of such failures could be cited as justification for a policy about-face. The administration has this option, but there is no sign that it wants to exercise it. So yes, give us the Code of Conduct, please, if that’s the best you can see your way to doing. It will not prevent an arms race in outer space. It will not place even the slightest impediment in the path of that already unfolding arms race. It will not enhance the security of United States space assets against antisatellite weapons which it will not prevent the development, testing, production, deployment (en masse) and even transfer of. It will make acts of war illegal in peacetime, and ask everyone to be a little nicer and more cooperative and not to pollute space with debris from tests that are completely unnecessary to establishing, evaluating, and perfecting the effectiveness of kinetic energy ASATs, as well as other types that spacefaring powers are more likely to want to use in the future. I guess that’s better than nothing. Just discovered a typing error in this post. If voting on New START is delayed past the lame duck session, an agreement among Senate leaders for up or down votes on the Treaty and related appropriations would be wise in 2011, not 2012.
it simply highlight the total meltdown of policy in the U.S.